We were invited by Walk&Talk to participate in an art residency in São Miguel Island, Azores, Portugal. 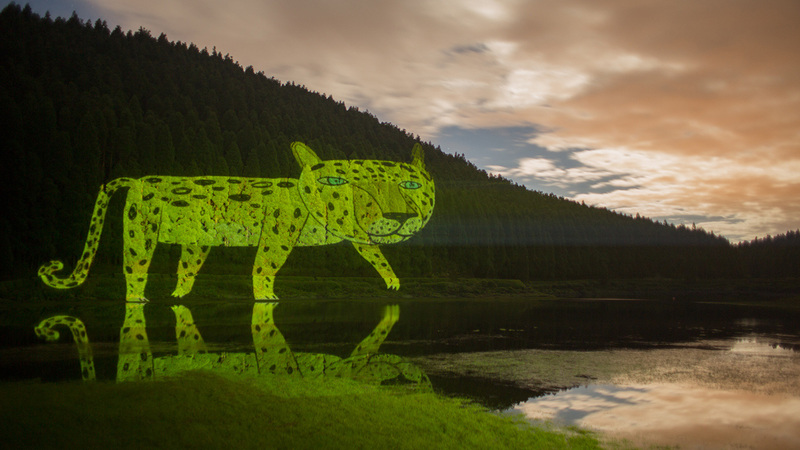 Taking advantage of the beauty of local nature, we projected animations in different spots of the island as the Lagoa das Empadadas, Porto da Ribeirinha, Cachoeira do Cabrito and Lago Verde in Sete Cidades. Using long exposure photographs, we created short videos of stop motion combining traditional animation, technology and nature. We spent long nights capturing each scene.